So I've done quite a bit of travelling over the last couple of months (including a fabulous trip to India - more about that later) and it's always when I'm on the way to the airport I realise that I should have taken out my contact lenses and swapped them for my glasses. Except my glasses were SO uncool. 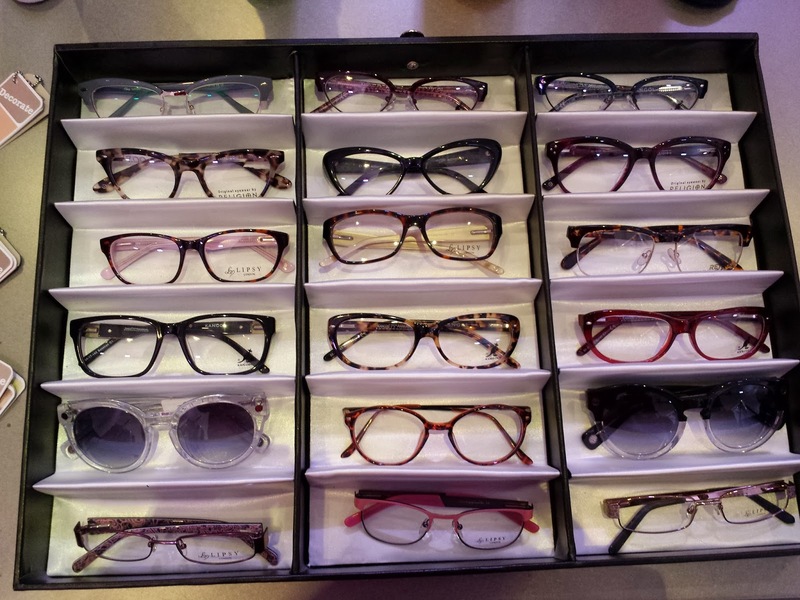 It's funny how glasses are still associated with geekyness, even in 2014. 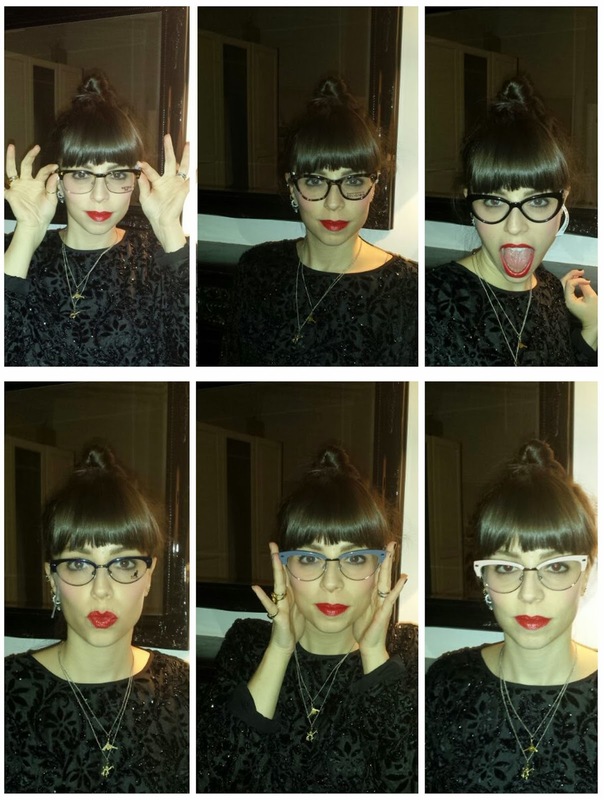 So Tesco Opticians sent me a bunch of pairs to try and I thought I would share the trying on session with you. Except this involved taking lots of selfies, which makes me feel really awkward. So I got my husband to take them all... and he laughed at every photo... which made it even more awkward! Anyways, I've come to the conclusion that Tesco isn't just for getting your fruit and veg... the selection of glasses was brilliant and really reasonable. They sell a huge range of glasses from lots of different brands such as Armani, Max Mara, Lipsy, Ray Ban, Guess etc etc and are so much more fashion forward than many other opticians. The website is really simple to use (which is a major plus for me) and they offer prescription sunnies as well as contact lenses. Can you guess which pair I went for? ?